Prescott Muir Architects, founded in 1976, has developed a national reputation for its finely crafted buildings and thought-provoking urban projects. Projects are conceived from a range of perspectives, beginning with a clear definition a client’s needs through a comprehensive understanding of construction and exquisite attention to detailing. The firm provides a wide array of services ranging from city planning and project definition to furniture design and building forensics. With an appreciation for asset and supply side management, the ethic of sustainability is imbedded in all they do. The firm is led by principals Prescott Muir, Jack Robertson, Lisa Arnett, Jay Lems, and Jared Larson. 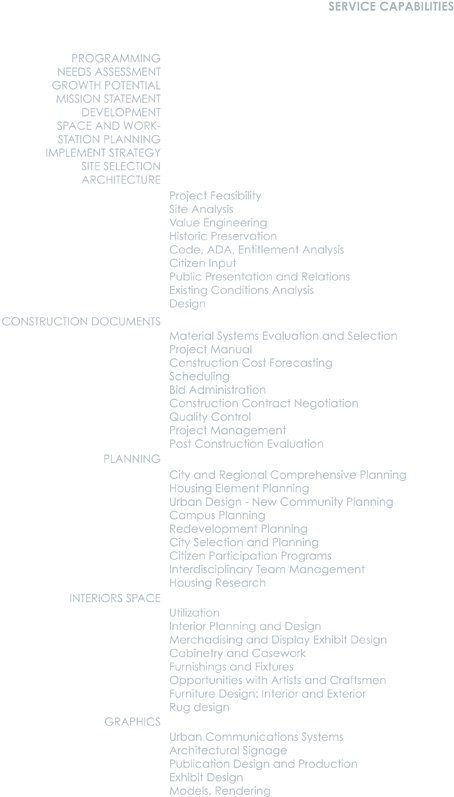 Most of the firm’s wide array of building types have been designed for repeat clients from various fields, including the visual and performing arts, museums, libraries, financial institutions, laboratories, educational institutions, new media, medicine, retail, religious organizations, industry, multi-unit housing, and single family residences. 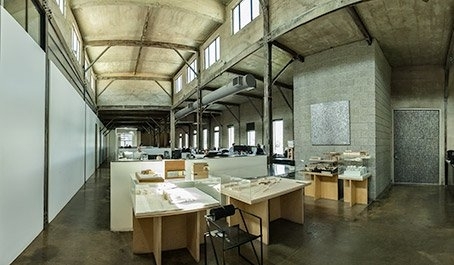 In consideration of the excellence of their built work, the firm has received fifteen design awards from the American Institute of Architects Western Mountain Region, Utah, New England, and Boston chapters. Prescott Muir was elevated to the College of Fellows of the AIA in recognition of his design acumen. The monograph ItByBit published by ORO Press highlights the firm's work and features articles by Juhani Pallasma and Dan Hoffman. The work has been recognized in the national and local press, including Architecture Record, Progressive Architecture, AIA Case Studies, and ACSA Technology Conference Publication.